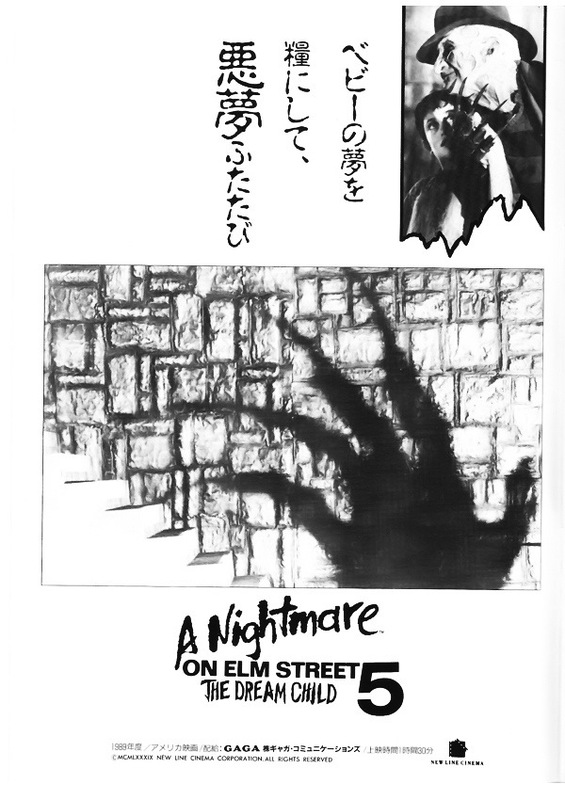 Released in 1989 A Nightmare on Elm Street: The Dream Child like the previous installment was rushed into production to capitalize on the massive success the series had going at the time. 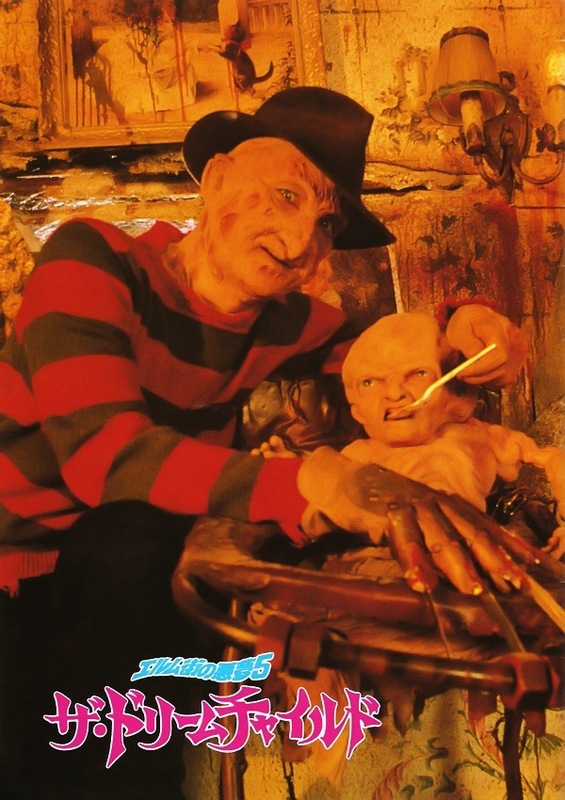 The Dream Master released in 1988 became the highest grossing of the series at the time, which it would hold until the 2010 remake of A Nightmare on Elm Street (this of course is excluding Freddy Vs.Jason and box office adjustments). 1989 saw the franchises take a dip in numbers as that year Friday the 13th Part VIII and Halloween 5 also saw their lowest box office numbers (both still hold that record not taking in box office adjustments). Dream Child isn’t the flop some people make it out to be, but seeing as the 4th took in over 40-million and this part took in under 20 it is seen as a letdown. 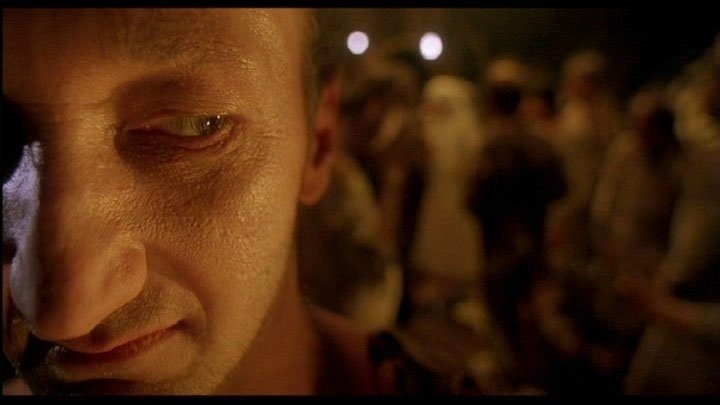 I think by this point each year a new sequel would be released and people began to tire and the tide was turning on the horror genre as a whole since outside of the franchises horror wasn’t as profitable as it was just a few years earlier. One thing clear is this film was rushed as it came out August 11th, 1989 and the 4th was released August 19th of 1988. I think the final product clearly shows the film was rushed and had more time been given I actually think this could have been one of the better sequels as it again has a lot of deeper issues, but the final product is a bit messy at times. The Dream Child attempts at going back to the roots of the series and make Freddy scary again instead of being a homicidal bugs bunny. The Dream Child has a more gothic look and deals with such issues as teen pregnancy, being a single mother and eating disorders and this film had potential to be a lot deeper, but never plays up to these ideas. 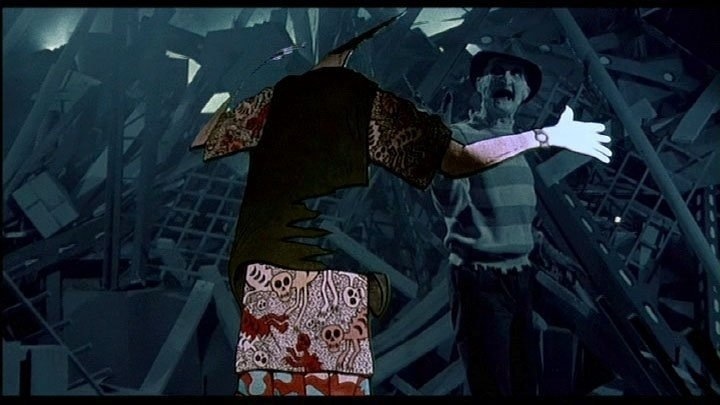 The comedy is sort of toned down as Freddy doesn’t actually appear a lot, but when he does he does have something silly to say, which doesn’t really mesh with the darker tone created and this one also features far less carnage than we’re used to seeing in an Elm Street movie. Even the makers realized the body count was too low, which normally I don’t have a problem with if the movie is really good. The original Elm Street only had a few deaths, but no offense, but Stephen Hopkins isn’t Wes Craven and the low body count does hinder the film at times. Dream Child was a movie I wanted to love since I prefer the dark and evil Freddy with little to no comedy and the makers of Dream Child again had all the right ideas, but in the end it just doesn’t fully work, but despite that I enjoyed this this one more than most people and while I cannot defend the movie fully from those that claim this as one of the weaker ones, but for me I actually liked this more than most of the sequels and yes that includes Dream Warriors. 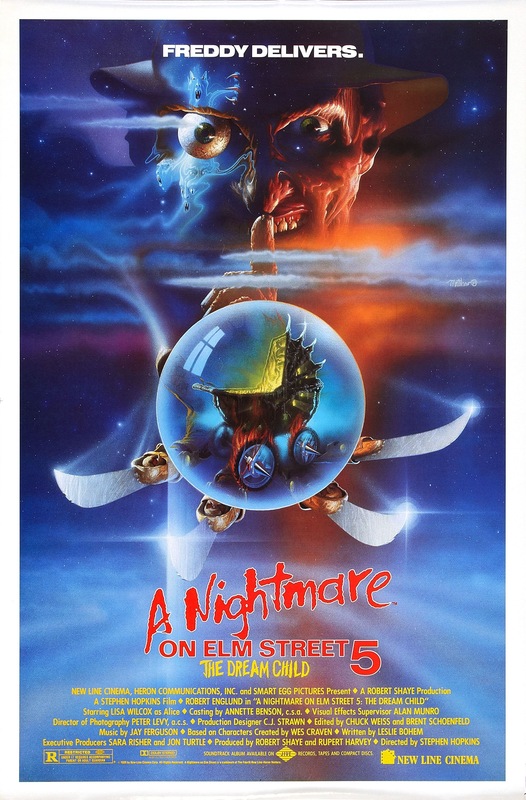 Actually I would rate this as my 3rd favorite of the original series behind the original and Dream Master (as I stated in my review for Dream Master I see New Nightmare as its own film, but if I count it that would be my 2nd favorite of the series). At the end of the day the Elm Street movies may not be my favorite franchise, but I did grow up with them and will always have a special affection for them. 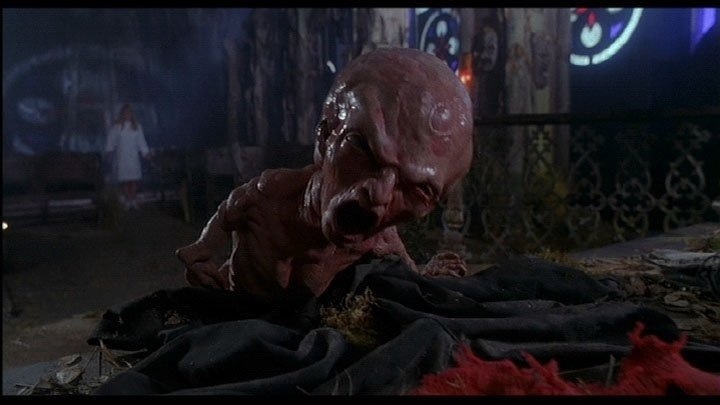 Freddy (Englund) once again is resurrected and this time strikes through Alice’s (Wilcox) unborn baby. And that basically sums up the plot as outside of that not a whole lot is happening story wise. It’s much of the same as the past parts, but with as touched upon earlier a little bit deeper of issues. The screenplay by Leslie Bohem has all the right ideas, but it was clear the script was rushed and could have used a little more work as the ideas presented are solid, but aren’t executed to their fullest potential. As I mentioned this also deals with some deeper issues, but they aren’t fully explored. There can be lulls in the script as its more character driven rather than action and the plot wasn’t strong enough to carry the movie. If anything the script is sort of like the original in terms of its not about action, but this wasn’t nearly as well written as the original film. Like previous installments the characters are actually fairly interesting, but they are also a bit cliched and therefore they can only carry the movie for so long, but overall in terms of characters that is the one thing the film gets right, but again they are a little cliched and mostly recite dialogue from other films just worded differently, but are fairly likable. 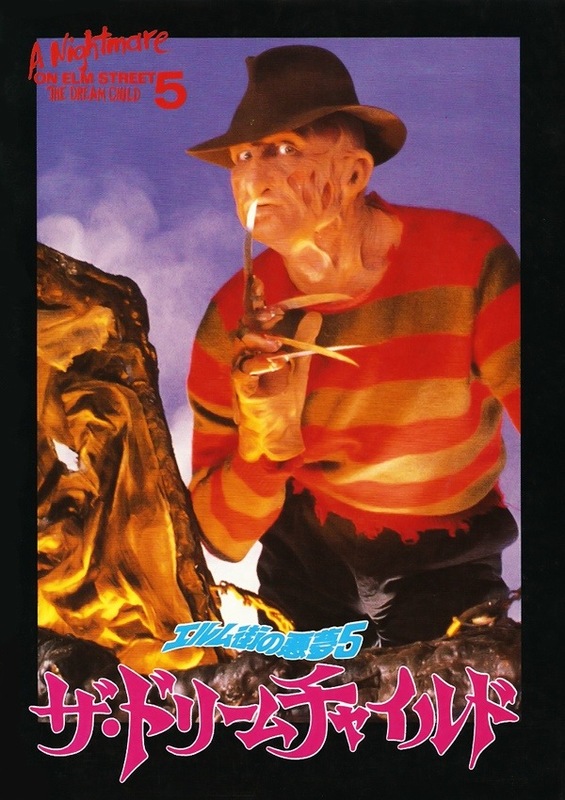 In the end I think the biggest problem with the screenplay is there isn’t any mystery left to Freddy despite more attempts at a backstory, but it really doesn’t offer anything different than past movies. Again there were some nice touches of drama and deeper ideas than we’ve seen in the series, but Dream Child is hindered by being more or less the same. Overall for a 5th installment, Dream Child is fairly well written but brought down by clearly being rushed. John Skipp & Craig Spector also wrote the screenplay however they aren’t credited. Director Stephen Hopkins creates a more gothic look and from a visual side Dream Child really stands out from what came before and after. 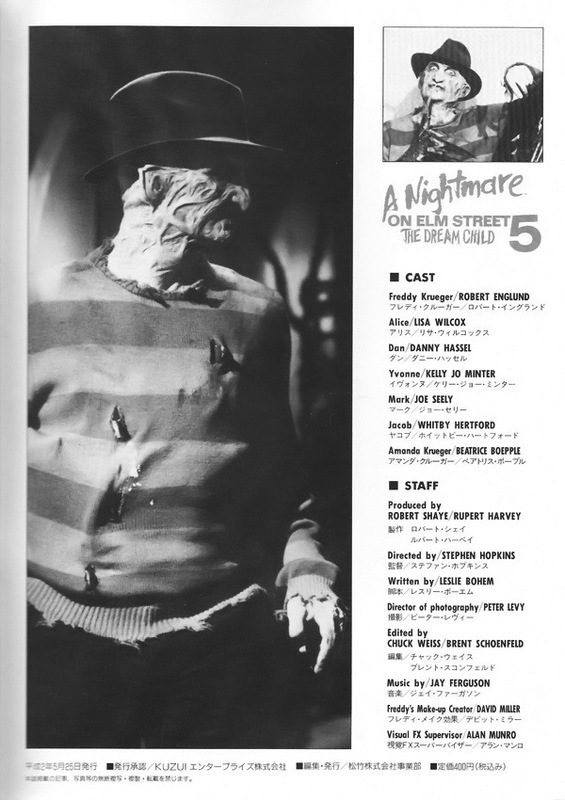 Starting in Elm St. 3, Freddy became a homicidal Bugs Bunny and I know a lot of fans prefer comedic Freddy, but I’m one the people who prefer a dark and evil Freddy and Hopkins attempts at making Freddy a more imposing figure, but there is still plenty of comedy. 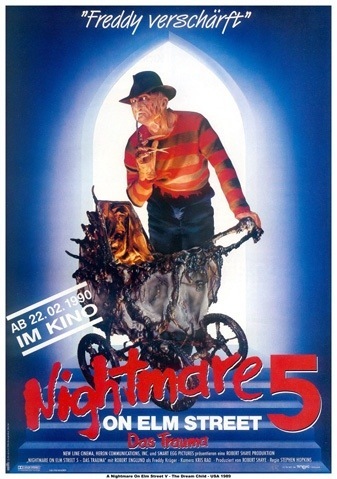 Unlike the previous 2 there are long stretches when Freddy doesn’t appear so in that sense the comedy is toned down, but when he does make an appearance he often has a wisecrack and the problem here is it doesn’t really mesh well with the tone of the film Hopkins is trying to create. 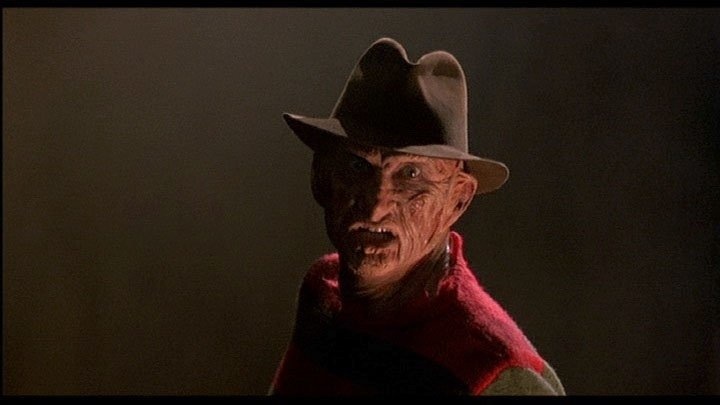 The pace of the film can be somewhat sluggish as there are long stretches without any action and while the characters can carry the picture to a certain degree, but by this point in the series there is no mystery left to Freddy and keeping him off camera or hidden in the shadows worked brilliantly in the original, but here it can lead to a sluggish pace. The Dream Child doesn’t feature a lot of action only about 3 deaths in the 90-minute running time and this is bound to turn a lot of people off and seeing as the past 2 were so action filled with creative deaths this can be a letdown in that aspect and while the original film didn’t need a lot of action, Hopkins while a competent filmmaker is no Wes Craven. I really liked what Stephen Hopkins was attempting to do and while in some ways it does work, again I think had this been the first sequel what Hopkins was attempting would have worked a lot better since there really wasn’t any mystery left to the Freddy character, but with that said again I liked what Hopkins was going for and for better or worse, the Dream Child does standout from other installments of the series. 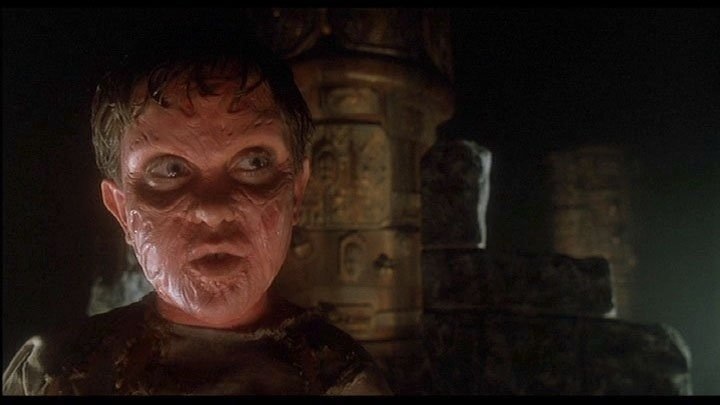 Most fans seem to rate The Dream Child, Freddy’s Revenge and Freddy’s Dead as the weakest of the series, but I personally would rate this as my 3rd favorite behind the original and Dream Master (as I stated in my review for Dream Master I see New Nightmare as more of a spinoff if not for that New Nightmare would be my 2nd favorite). I really can’t defend Dream Child from those who say its the weakest of the series or one of the weaker ones since there clearly are some problems with the movie, but I can say though despite the flaws I mostly enjoy this one and even though it features some silly wisecracks and some silly scenes, I liked how the film attempted at making Freddy an imposing figure once again.